BEAR AND CHICKEN Storytime Book launch party at Blue Bunny Books! 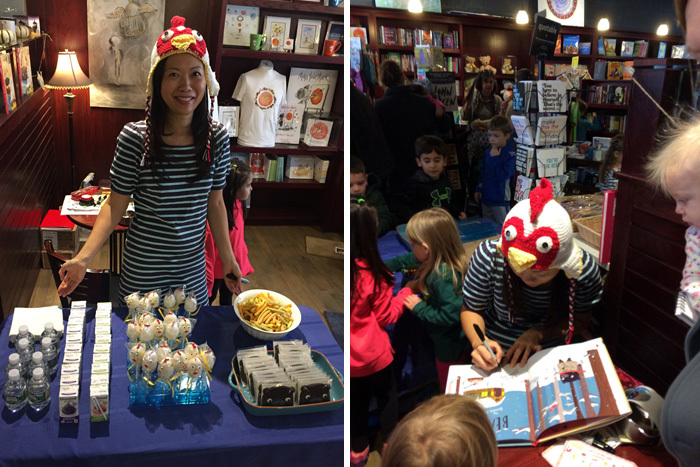 BEAR AND CHICKEN Story time Launch Party! 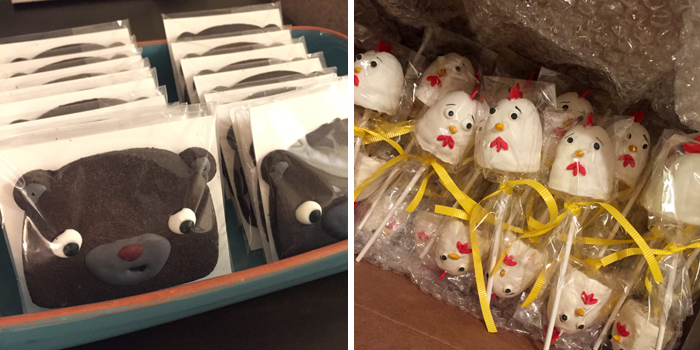 My mother in law made these incredible BEAR cookies and CHICKEN cake pops. These photos really don't do it justice. I’m so thankful for those of you who showed up for my Bear and Chicken celebration. I appreciate your patience as we had a packed house and things got a little crazy and books were sold out! I know many of you came from afar. Your presence and support means the world to me. To see the many people I’ve come to know in the past 5 years living in Boston, coming together in a little bookstore for me, really touched my heart. Thank you so much The Blue Bunny, Books and Toys for hosting me, and my mother in law who made the delicious Bear cookies and chicken cake pops that were gone in a flash. BEAR AND CHICKEN is offically out! Order your copy here!